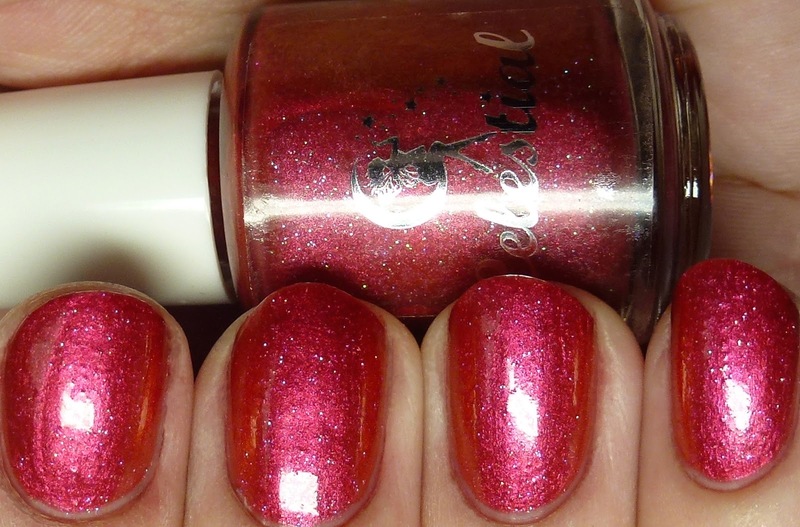 England's Rose is a beautiful and touching tribute to the maker Nicki's mom, who passed away five years ago. 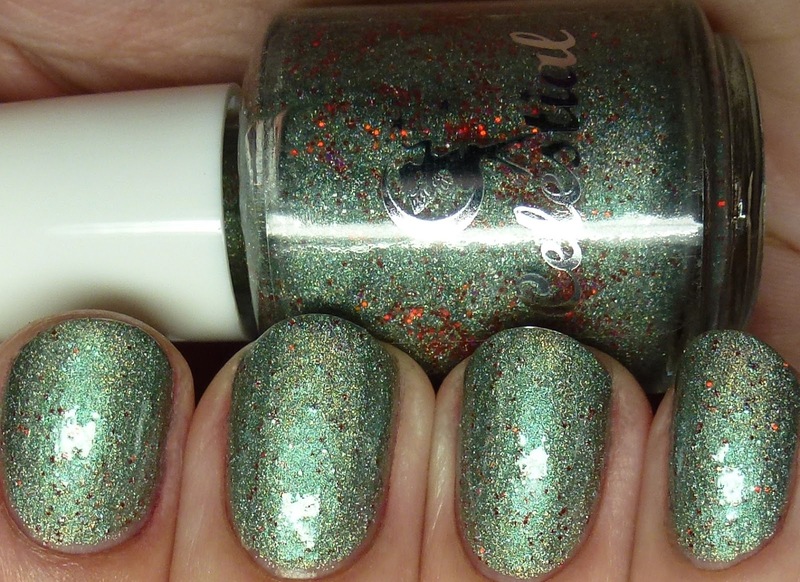 It is full of beautiful elements, including multichrome red-to-green itsy bitsy microglitter, scattered holo, and a rainbow of microflakes. 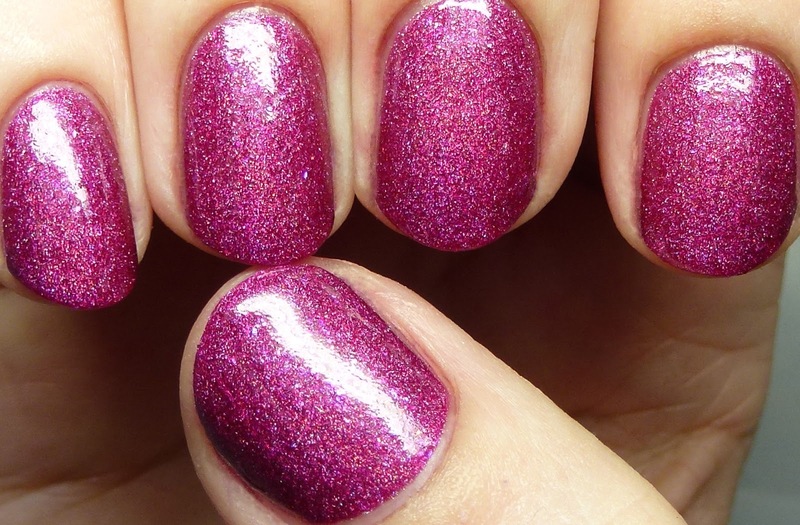 The base color is a deep cerise, which covered well in two coats, or three very thin ones. Great formula, as usual. 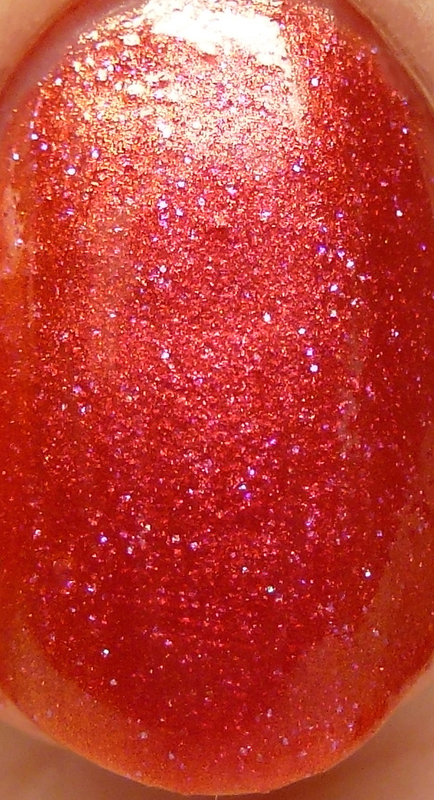 Garnet Star is another amazing color-shifting glitter/shimmer polish. 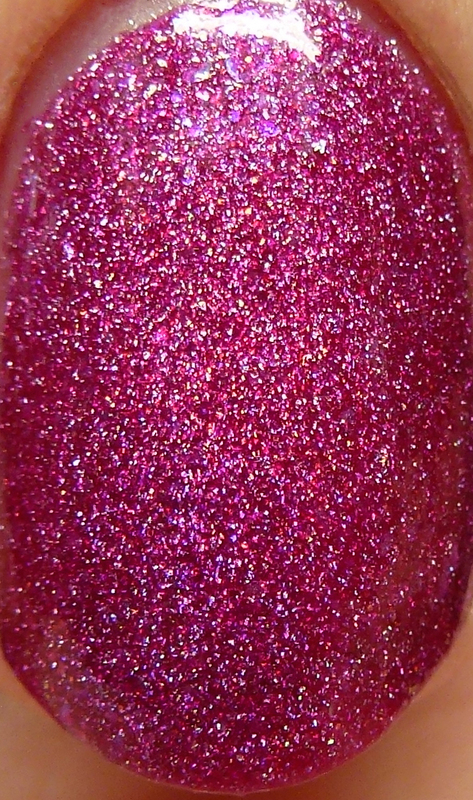 This one has green-to-purple multichrome microglitters in a carmine red-to-gold duochrome base. I wore this is three thin coats. Again, no issues with formula at all. 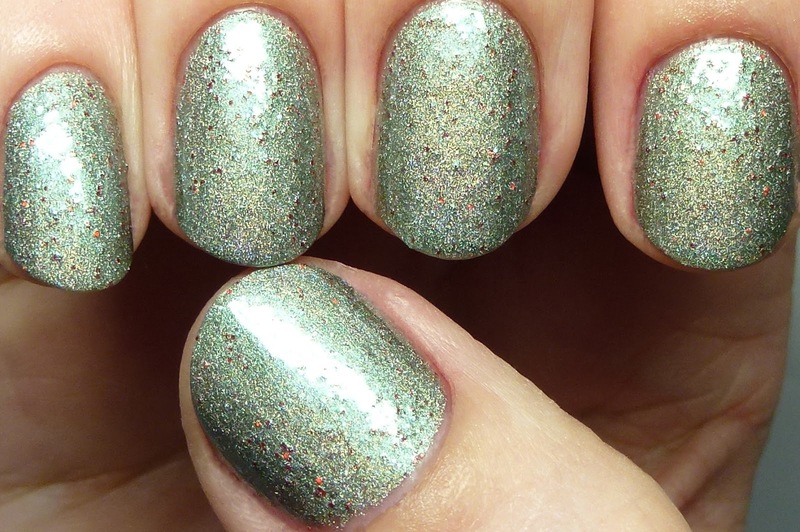 LE March 2015 carries on the microglitter theme, but this time they are a bit larger and more prominent. 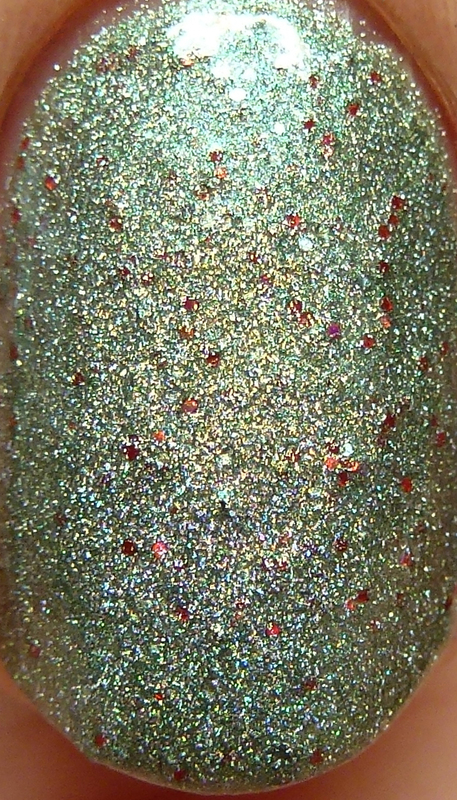 Here we have red microglitters in a sage green scattered holo base. 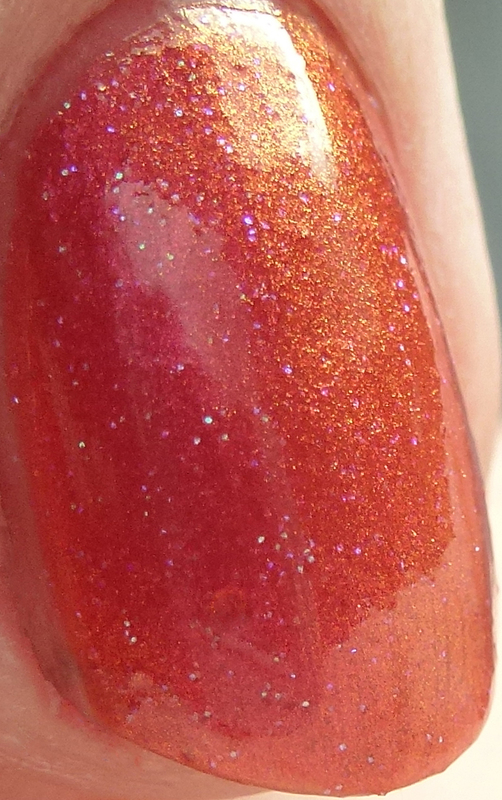 I used three thin coats for this. 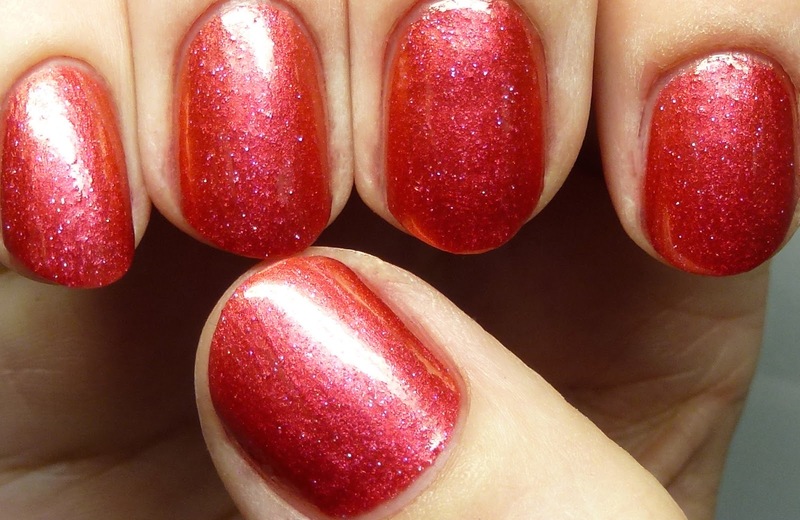 It is a little more bumpy due to the larger glitters but a cushy top coat takes care of that. Great, quick-drying formula like the others. 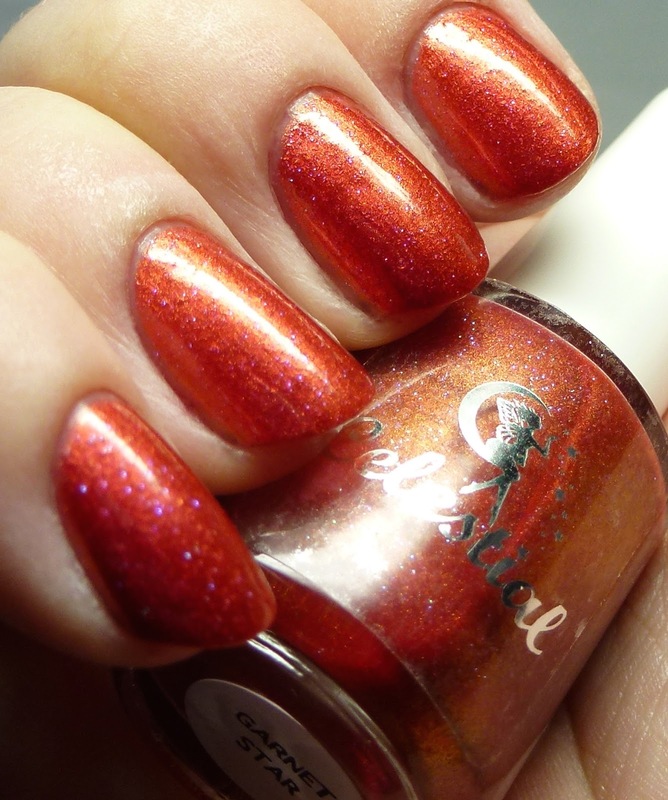 Another flawless batch of polish from Celestial Cosmetics. 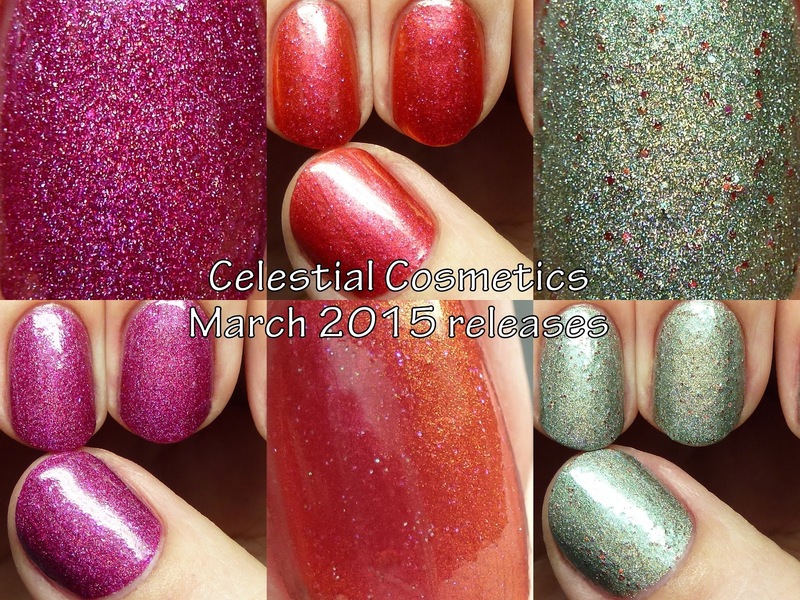 Check out part 1 for my first post of the new March releases and I'll have one more for you tomorrow.